Arizona LLC attorney Richard Keyt has formed 6,400+ Arizona limited liability companies because he provides great LLC formation services for less $ than nonlawyer LegalZoom charges for fewer services and because clients love what he does. Don’t take our word see our 156 five star Google & Facebook reviews from some of our happy LLC clients. If you are not happy with the formation service we provide, you may ask for a refund in writing within thirty days after the date we file your LLC’s Articles of Organization and we will refund your LLC formation fee less the $85 filing fee. The list below contains a detailed explanation of each of the services we provide for our Bronze ($397), Silver ($597) and Gold ($997) LLC formation packages. Click on an item number to open the tab and view the description of the service. Unlimited free telephone calls with an Arizona LLC attorney who will answer all of your questions about forming and operating Arizona LLCs. Call Richard Keyt at 480-664-7478 or his son Arizona LLC attorney and former CPA Richard C. Keyt at 480-664-7472. We check the Arizona Corporation Commission’s entity and tradename database to confirm that the name you pick for your LLC will be accepted by the ACC. If there is a problem with the LLC’s name we will contact you and get a name that will not be rejected. We form Arizona LLCs using LLC attorney Richard Keyt’s custom charging order enhanced Articles of Organization. We do not use the ACC’s bare-bones form. Richard researched Arizona LLC law and created custom four page Articles of Organization that contains provisions not found in the ACC’s form and that coordinate with corresponding provisions in his charging order enhanced custom Operating Agreement he prepares for every LLC he forms. We prepare the ACC coversheet that must be filed with the Articles of Organization. 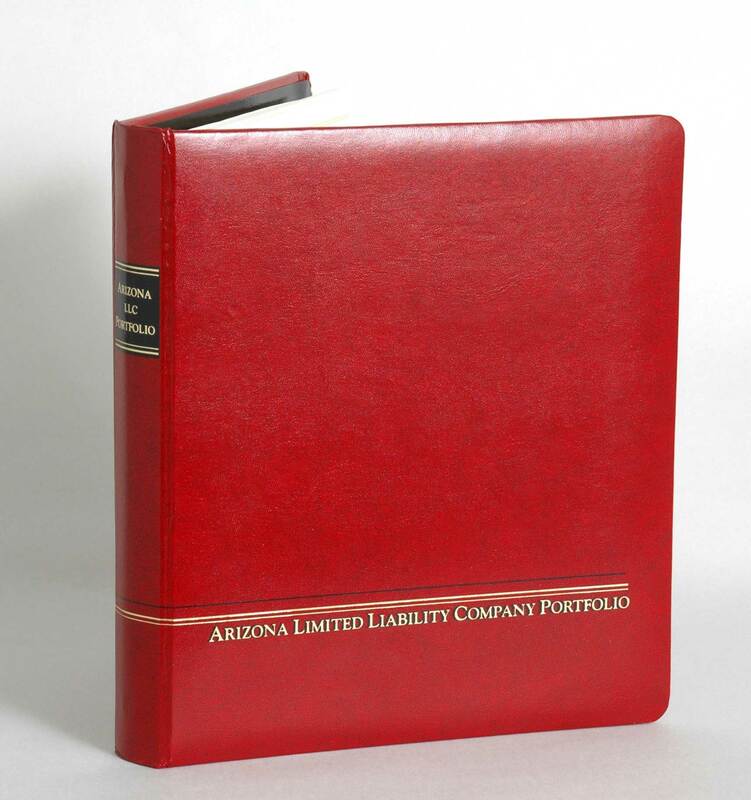 We hand file the coversheet and the Articles of Organization with the Arizona Corporation Commission. The LLC is born and can begin doing business the day we file the Articles of Organization. We pay the LLC filing fee to the Arizona Corporation Commission – $50 standard fee for Bronze (20 -25 business days before ACC approval) purchasers and $85 expedited fee (5 – 8 business days for ACC approval) for Silver & Gold purchasers. The day we file the Articles of Organization we will email the document to you with the Arizona Corporation Commission’s received stamp on it. With this document and the LLC’s federal employer ID number you can immediately open a bank account in the LLC’s name. We prepare Arizona LLC attorney Richard Keyt’s charging order enhanced Operating Agreement custom drafted for your LLC. Since forming his first LLC in 1992 Richard has invested over 200 hours in writing a “state-of-the-art” Arizona specific Operating Agreement that contains unique provisions Richard developed to prevent or solve actual LLC problems he has seen practicing business law in Arizona since 1980 and forming 5,600+ LLCs. We prepare a Disclaimer for each non-member spouse to sign when a married member will own his or her interest in the LLC as separate property. If a married spouse does not sign a disclaimer, Arizona law provides that a married member who is a resident of Arizona and who acquires an interest in an LLC owns the LLC as community property with the other spouse unless: (i) the interest was acquired as a gift or from inheritance, (ii) the non-member spouse disclaims ownership, or (iii) the non-owner spouse signs a Disclaimer. Every Arizona LLC must have a statutory agent. We act as the LLC’s statutory agent at no charge for the first year. You can change the statutory agent at any time. If you want us to continue to be the LLC’s statutory agent after the first year just pay our annual statutory agent fee of $99. If your LLC has multiple members other than a married couple you have the option to have all members digitally sign the Operating Agreement using DocuSign. We prepare the Operating Agreement for digital signatures and email it to all members to sign. Members get a pdf version of the Operating Agreement digitally signed by all of the members. We contact the IRS and get the LLC’s employer id number (EIN). We email all of the LLC’s documents to all members in Adobe pdf format at no additional cost. We give every member of the LLC Arizona LLC attorney Richard Keyt’s 170+ page book called the Arizona LLC’s Operations Manual. Richard wrote the Operations Manual to explain to LLC owners everything they need to know about forming and operating an Arizona LLC. Richard learned years ago that people who form Arizona LLCs have the same questions so he put all the answers in the book to minimize the time he spends on the phone answering the same questions over and over. The OM covers 75+ critical topics that affect Arizona LLCs. See the Operation Manual’s Table of Contents and you will be amazed that so many important topics are conveniently covered in one place. THIS MUST HAVE LLC OWNER’S MANUAL IS NOT AVAILABLE ANY WHERE EXCEPT FROM RICHARD KEYT. We prepare organizational resolutions to be signed by all of the members in which the members elect one or more managers, approve the issuance of membership interests to the members, authorize the opening of the LLC’s bank account, approve reimbursing members who paid the LLC’s organizational expenses, authorize the manager to file with the IRS any documents necessary to adopt the LLC’s method of income tax and adopt other resolutions related to forming the new LLC. We prepare Membership Certificates for all members. The membership certificate is the LLC equivalent of a corporate stock certificate. Each certificate is numbered and signed by a manager and evidences that an interest in the company was issued to the member named thereon. We include special language in both the Articles of Organization and the Operating Agreement that provides for a “springing member” to avoid the automatic termination of an Arizona LLC provided by Arizona law when the only member of the LLC is a person and that person dies. Automatic termination of an LLC can have serious negative financial and tax consequences to the heirs of the deceased member. We include a non-economic member provision in the Articles of Organization and the Operating Agreement. This provision gives the company an option to appoint a person or entity that is not affiliated with the LLC to have a veto power over a decision by the members to cause the company to file a bankruptcy petition. The purpose of the non-economic member is to prevent a creditor of a member from forcing the LLC into filing bankruptcy as a way to get to the otherwise protected assets of the LLC. The manager of the LLC will get a one year paid subscription (a $97 value) to Richard Keyt’s Arizona LLC Operations Compliance Alert System. The OCAS is an automated email system that sends periodic alerts to the managers of the LLC concerning important LLC operational issues. It’s an automatic tickler / reminder system for Arizona LLCs. Sixty days after we form your LLC we will invite you to to take our online comprehensive Arizona LLC Legal Audit. The purpose of this audit is to determine what LLC operational tasks have not been completed. Examples of tasks are setting up the LLCs, books, signing the Operating Agreement, opening a bank account in the LLC’s name, mailing the IRS Form 2553 to the IRS if the members want the LLC to be taxed as an S corporation, purchasing insurance for the LLC and transferring real estate to the LLC (if the LLC was formed to own real estate). The audit is lengthy, but important because you want your LLC to take all appropriate actions to maximize the benefits for and protection of the members. We prepare a Confidential Trust for one member or two members who are husband and wife. It is a revocable living trust that has only one purpose – to own an Arizona LLC so that the ultimate owner (the beneficiary of the Trust) is not named in the public records of the LLC on file with the Arizona Corporation Commission. The ultimate owner of the LLC is the trustmaker, trustee and beneficiary of the Trust. The legal owner of the LLC is the Trust and only the name of the Trust is disclosed on the ACC’s records. For example, if Homer Simpson’s Confidential Trust is called the Laguna Beach Trust then that the Articles of Organization filed with the ACC names the owner/member of the LLC as the Laguna Beach Trust, not Homer Simpson. When we prepare a Confidential Trust we also allow the Trust and the LLC to use our address service at no cost for the first year. By using our address service the owner avoids disclosing the owner’s home or business address on the ACC’s public records. After the first year we charge $100/year to use our address service. The LLC can get a UPS mail box and change its address and the Trust’s address to avoid paying our annual address service fee. The Articles of Organization will state that the LLC’s known place of business in Arizona and the address of each member is c/o KEYTLaw, LLC, 7373 E. Doubletree Ranch Road, Suite 165, Scottsdale, AZ 85258. By using our address service the home and/or business address of the owners are not disclosed in the public records of the Arizona Corporation Commission. This service is necessary for people who do not have an Arizona address and people who want confidentiality. After the first year we charge $100/year for our address service, but you can change the address of the LLC and its members at any time to avoid paying our address service fee. If you have questions about forming an Arizona LLC, contact Arizona LLC lawyers Richard Keyt at 480-664-7478 or his son Richard C. Keyt at 480-664-7472. We do not charge for entity formation related questions. Complete our LLC Formation Questionnaire and click on the submit button at the end. Our system will email the completed Questionnaire to the email address you specify in the Questionnaire so you can review the information to make sure everything is correct.